Donald Levering is a past NEA Fellow in Poetry. He won the 2014 Literal Latté Award and was First Runner-Up for the Mark Fischer Prize in 2015. He has been a Duende Series Reader and was a Guest Poet in the Academy of American Poets online Forum. 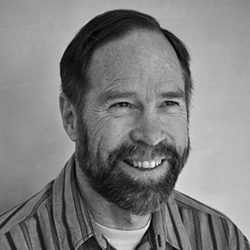 His 12th poetry book, The Water Leveling With Us, published by Red Mountain Press, won the 2015 New Mexico Press Women Book Award. More information is available at donaldlevering.com.